On a scale of 1 star to 5 stars we would rate MHSRV at around a 12. We love this place! The prices are wonderful and so is the quality of the RVs. Our salesman was very personal and excellent. This was the most wonderful sales experience we have ever had anywhere. Thank you very much for being so kind. Coachmen RVs for Sale at Motor Home Specialist - MHSRV.com, the #1 Coachmen RV Motor Home Dealer in the World. Motor Home Specialist has been a Coachmen RV dealer since 2006. In our first full year of selling Coachmen motorhomes we became the #1 volume selling Coachmen class A RV dealer in the United States. Coachmen RV is one of the oldest and most respected names in RVs and has been in production since 1964. For some time now Coachmen Industries has been a part of the Forest River who is a Berkshire Hathaway company. Coachmen is a full line recreational vehicle manufacturer meaning they build towable RVs, toy hauler RVs, class A gas, class C, class B, class B+ and class A diesel pusher RVs as well under their Sportscoach Diesel brand name. Sportscoach currently offers the Coachmen Cross Country and Coachmen Cross Country SRS diesel models. The class A gas division boast some of the most well known names in RVs including the Mirada and Pursuit. They build the Coachmen Encounter and the all new Mirada Select. The Coachmen Mirada Select is the flagship class A gas motorhome in the line-up. You may find features and options such as tile floors, full body paint and residential refrigerators. The Mirada Select is also going to be the first class A gas motorhome in the industry to offer power "Salon Bunks" in the 37LS model. The Salon Bunks are the idea of Donny O'Banion, the C.E.O. of Motor Home Specialist. Donny's concept was to gain floor space in the coach by taking the bunks out of the traditional hallway arrangement and putting them instead in the living room area of the coach built into the main slide-out room. This gives Coachmen the ability to create a full size bath & 1/2 model motor home and have as many as 4 additional sleepers in the front of the coach that can then utilize the large LED TV, fireplace, etc. in the front of the coach. The Power Salon is a great idea with many more benefits for a younger family, but also for the retired couple that may take the grandkids every so often. This gives that couple again a full size bath & 1/2 motor home throughout the year and a bunk model motor home when needed. The Salon Bunks are also a great hidden "attic space" when not needed for additional sleeping. The Class C division of Coachmen RV also boast some of the most recognized and iconic brand names in the industry. The Coachmen Leprechaun has long been a family favorite at Motor Home Specialist. Since 1973 the Leprechaun has provided a higher level of construction, interior appointments and convenience features that have won the confidence of generations of Leprechaun class C owners. The Coachmen Concord B+ has been the top selling Class B+ model at Motor Home Specialist since 2008. This coach is a true staple in the industry and an exceptional value when purchased from Motor Home Specialist. They also build a Coachmen Freelander. This unit is one of the most sold Class C RVs ever produced. They offer a myriad of floor plans including bunk model class C RVs and smaller compact models including the all new Coachmen Freelander Micro models. But the Class C division does not stop there, they also build an incredible selection of Sprinter diesel class C RVs. The Coachmen Prism and Coachmen Prism LE models are available in a diverse amount of floor plans and options making them incredibly diverse in price point as well. One of the newest products to the Coachmen line-up is the Coachmen Galleria. The Coachmen Galleria is a class B luxury van model with several floor plans offered and at a tremendous savings over the competition in the class B world. Compare the Galleria against the competition. You'll be glad you did. 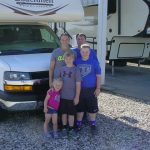 Coachmen RV is sometimes mistaken to be Coachman RV, but there is no mistaking the fact that they are one of the most recognized and trusted names in RVs today. They have been in business since 1964. Another important fact about Coachmen RV is that they have recently been purchased by the Berkshire Hathaway group. Motor Home Specialist is a full line Coachmen motor home RV dealer and the #1 Coachmen class C motor home dealer in the country for several years now as well as a perennial top selling dealer or #1 dealer for the Class A gas & Sportscoach diesel lines as well. The Coachmen RV line-up includes both class A RV models and class C RV models including the Coachmen Encounter, Mirada Select, Coachmen Mirada, Coachmen Pursuit, Prism Sprinter diesel RV, the all new class B van model the Coachmen Galleria, the Orion, the Concord B+ RV as well as the Leprechaun and Freelander class C RVs. Also, look for the all new and very affordable Coachmen Adrenaline travel trailer toy hauler RV. You will also find the compare and versatile Coachmen Orion and even the Coachmen Adrenaline toy hauler travel trailer RV available at Motor Home Specialist. New Coachmen owners also receive a FREE 1 year membership to the Coachmen Owners Association giving you huge savings on fuel, theme parks, campgrounds, emergency road side assistance, as well as two free $5,000 AD&D insurance policies, free trip routing, free campground directories, free easy RVing magazine subscription, free One Big Planet membership with cash reward benefits and much more.For complete details on this unrivaled owner's program visit CoachmenRV.com - Offer subject to change or be discontinued at any time by Coachmen RV. Be sure to verify that the Coachmen Owners Association Plan is still offered by Coachmen at time of sale. Motor Home Specialist is a full line Coachmen Motorized Dealer. Shop our huge selection with upfront and everyday low sale prices at MHSRV.com or call 800-335-6054. You'll be glad you did! When you purchase a motor coach, you want a coach that has the right team behind it. From design to reliability to function, a motor coach is only as good as the company that manufactures it. That's why the team at Coachman strives to provide only the best, and with over fifty years experience, they do just that. Coachman has been on the road since 1964 with no end in sight. From the three brothers that began the brand to today, Coachman has prided itself on superior design and reliability all at a price that you can afford. While the company has a great history, it doesn't sit back on its laurels. Staying on the cutting edge of technology ensures that you receive the best motor coach available that utilizes all of the most current technological advantages to keep you safe and comfortable on the road. Coachman motor homes are made from Azdel Composite Panels instead of the old fashioned wood that was once used in the sidewalls of RVs. This material is made from a blend of fiberglass and polypropylene. It adds a great deal of strength to your motor coach while being lightweight at the same time which will save you money at the gas pump. Regardless of whether you select the Coachman Cross Country DSL or the Coachman Encounter, Coachmen Mirada, or one of the other fine Coachman products like the Prism, Concord, Cross Country SRS, Leprechaun, Pursuit or Freelander, you will be pleased with the number of standard features. Sound bar entertainment systems, hide-a-bed, DVD player in the living room, Double bowl stainless kitchen sink, Pull out pantry with counter top and Lighted truck boxes. These are just a few of the many features you may enjoy on your Coachmen motor RV. Connect with Motor Home Specialists to Find Your New Coachman Motor Home! There is a reason we are called "motor home specialists." It is because we live, breath, and sleep motor homes. When you are looking for a Coachman, you need look no further than Motor Home Specialists. Our team will be happy to answer all of your questions and assist you in any way possible to help you find the perfect Coachman for you, so give us a call today. Click here to view manufacturer's website information.